MSC Cruises is strengthening its commitment to serving the North American market with the deployment of the MSC Divina to the Mediterranean during the summer of 2015. The first of the line’s ships dedicated to North American travelers, MSC Divina will bring its signature service and onboard experiences to the most sought-after Mediterranean seven-night itineraries beginning May 16 through Oct. 3, 2015. 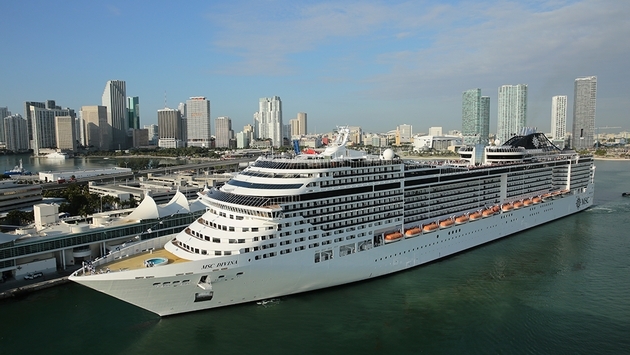 MSC Divina is currently sailing Eastern and Western Caribbean cruises from PortMiami which continue through April 2015. “After exposing MSC Divina to thousands of guests in the Caribbean, customer surveys are showing an increased desire for North Americans to sail onboard MSC Divina in the Mediterranean,” said Richard E. Sasso, president, MSC Cruises USA. “The enhancements made at the start of the Caribbean season to ready MSC Divina for the North American market have certainly paid off with positive ratings and increased repeat business. This has led to our decision to maintain the MSC Divina onboard product designed around the senses of American taste, palette, entertainment and comfort and expand her offerings into the Mediterranean, the hottest and most desired vacation destination by North Americans today,” continued Sasso. MSC Divina will begin her Grand Voyage on April 26, 2015, from Miami making a stop in New York, King's Wharf, Bermuda and then continuing onto Ponta Delgada, Lisbon, Cadiz, Barcelona, Naples and Civitavecchia. From May 16, 2015 through Oct. 3, 2015, the ship will sail seven-night Mediterranean cruises departing from Civitavecchia and visiting the ports of La Spezia, Cannes, Palma de Mallorca, Barcelona, Naples and returning to Civitavecchia. While in La Spezia, MSC Divina will offer late night stays allowing guests to visit nearby cities of Pisa, Florence, Portofino and Cinque Terre. In addition, the call in Naples will allow time to visit Pompei, Capri, Sorrento, and the Amalfi Coast. Guests will have the opportunity to embark in two marquee ports, Civitavecchia on Saturdays and Barcelona on Wednesdays, allowing for a customized vacation experience with outstanding pre- and post-cruise opportunities and ample airlift from the United States and Canada. In October 2015, upon completion of her Mediterranean season with a unique 10-night cruise, MSC Divina will enter dry dock in Europe. While in dry dock, the ship will receive some surprise enhancements specifically for the North American market before returning back home to South Florida for a third season of seven-night Caribbean cruises starting in November 2015. Michelle Fee, president & CEO of Cruise Planners, called the decision “opportune” given the fact that MSC Divina has quickly established a name for herself in the North American market and demand for a North American product in the Mediterranean is increasing. MSC Divina provides a comfort to the market that can now be extended to other destinations. MSC Divina's 2015 Mediterranean season will first open for pre-sale to past guests of MSC Cruises on Tuesday, April 29, 2014. Bookings will then be open to the general public on Thursday, May 1, 2014. 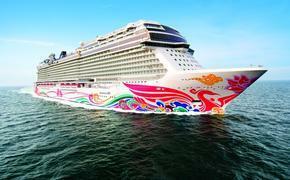 Bookings made by July 31, 2014 will be eligible for an exclusive balcony upgrade plus onboard credit.